A small private airplane sustained minor damage when it ran off the runway and tipped forward onto its nose after landing in Livermore Thursday, according to the Federal Aviation Administration. 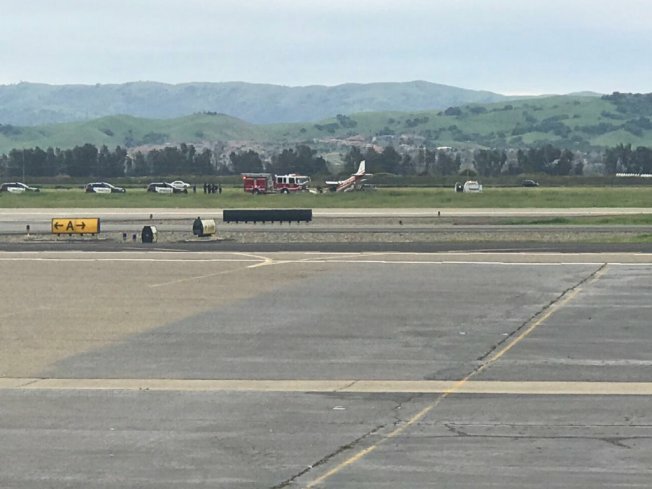 The plane had just landed at Livermore Municipal Airport, listed at 680 Terminal Circle, although it was not immediately clear what time the landing occurred at. The single-engine Cessna 172 had two people on board at the time, but FAA spokesman Ian Gregor said his agency has not yet received any report of injuries. The incident is under investigation, Gregor said.